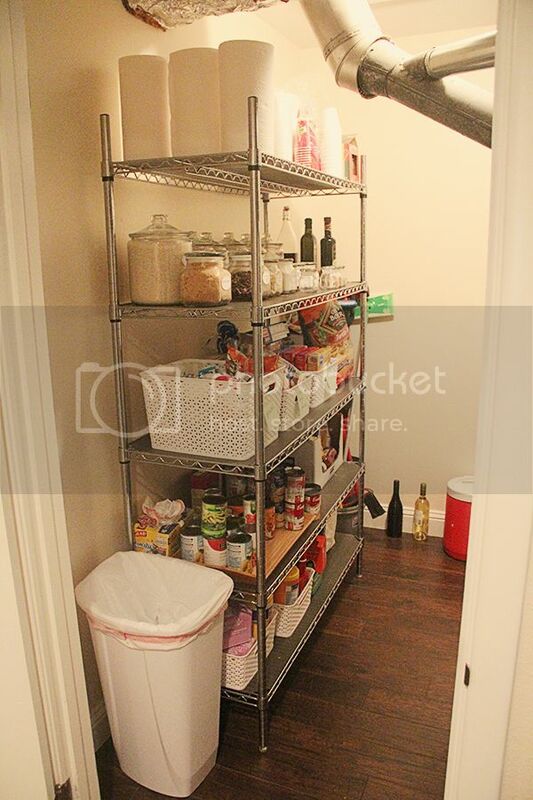 A while ago, when I shared our bathroom organization (which is still holding up and looks exactly as it did when I completed the project) I mentioned that our pantry was also in need of a makeover. Then I put it on my 101 in 1001 list, and hoped that would give me the kick I needed to get things done! 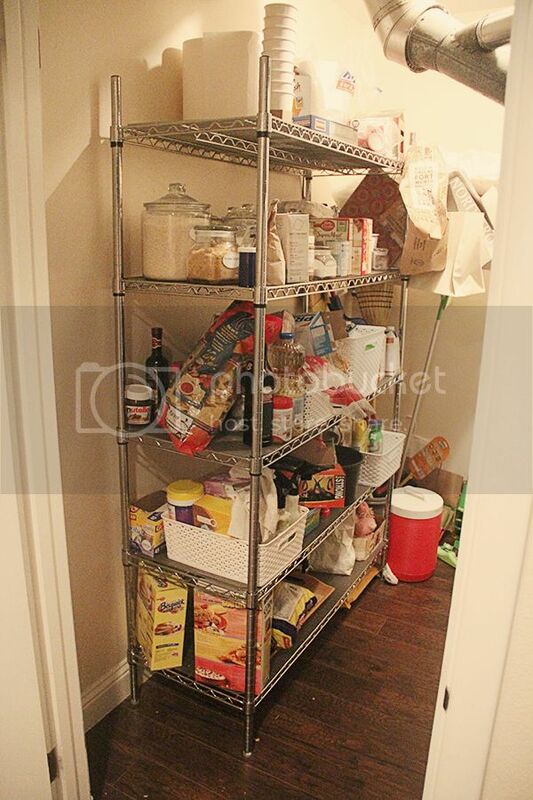 When we first moved in, like a week later I "organized" our pantry. Working on this project so soon after moving in meant that I wasn't preparing the space for the products we would actually have on hand and need to accommodate. Excuse my grainy, dark photo. As you can see, everything is just wedged into random places. Yuck. I had some baskets and containers, but they weren't prepared to hold products based on categories... we were just putting things everywhere. Looking at these before photos makes me so stressed out. Last week, our internet blacked out for a few days. Literally all work that I do depends on an internet connection... so I was stuck. I decided I needed to use the time wisely to tackle a project. Without giving it much thought, I decided to start by pulling everything out of the pantry. I looked at everything we had, and categorized it before putting everything back. 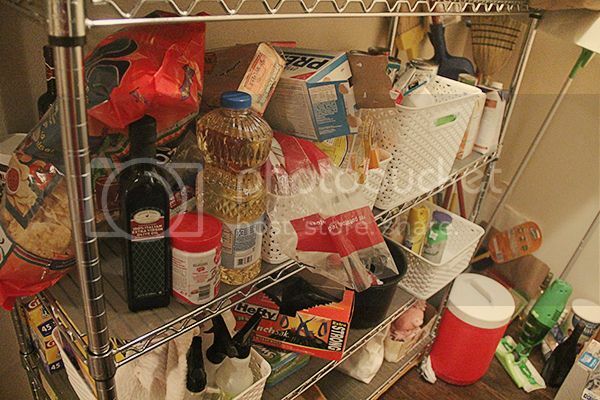 I saw that all of the cleaning products should move down to the bottom shelf to give one more shelf for food. I saw that all of our breads really needed their own basket. I also really needed to line up our canned foods by type... we were overflowing with chicken stock, which I kept buying because I couldn't see that we needed it. This isn't much of a "how-to"... as much as it's me beaming with pride to have finally finished this project and wanting to show it off. As you can see, I'm in need of a better labeling system for the baskets than post it notes. Did you complete any big projects this weekend? 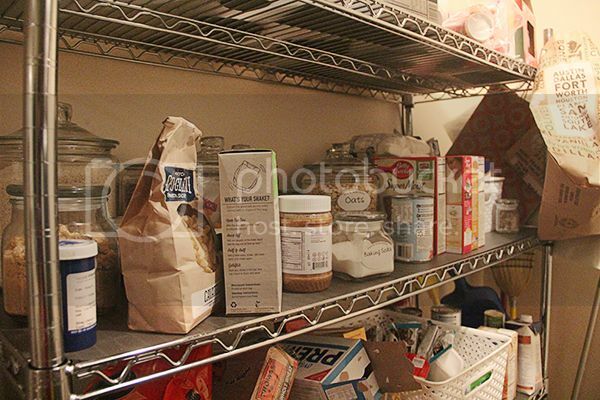 Is your pantry pristine or in need of work? Any ideas for my labeling? 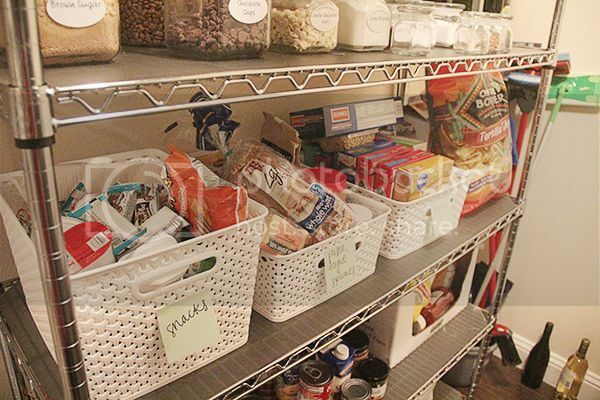 Your new organized pantry looks so cute! I love how it is organised ! These jars are so cute ! Way to go! Staples carries super cute Martha Stewart labels (chalkboard, cute shapes, red, teal, etc) that could work! 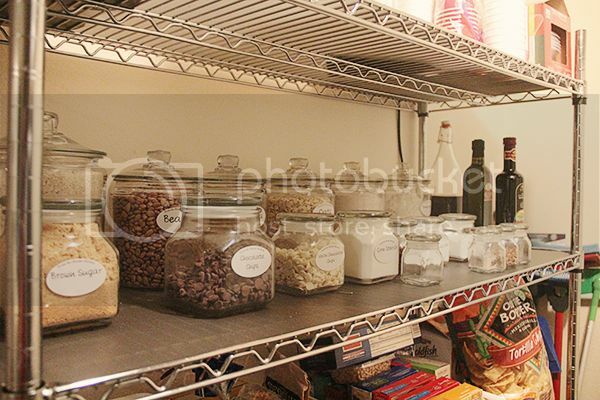 Her organizational products make me so happy :) And I'm loving all the jars! My exact pantry situation. I must do this! Thanks for the inspiration!! Remember the Black dear, Remember the Gold.